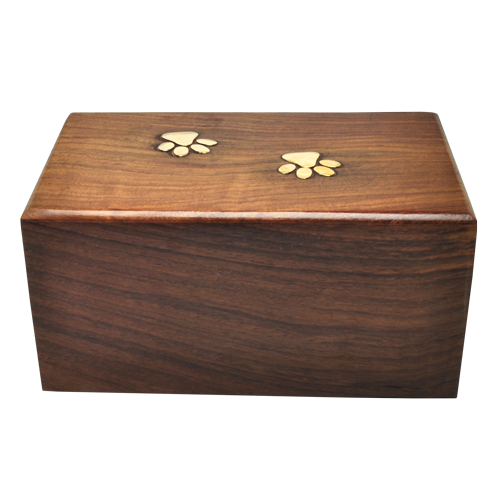 Add engraved clip art to TOP? 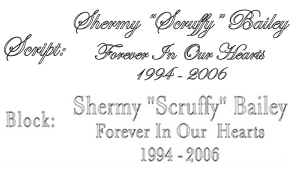 Add engraved clip art to FRONT? 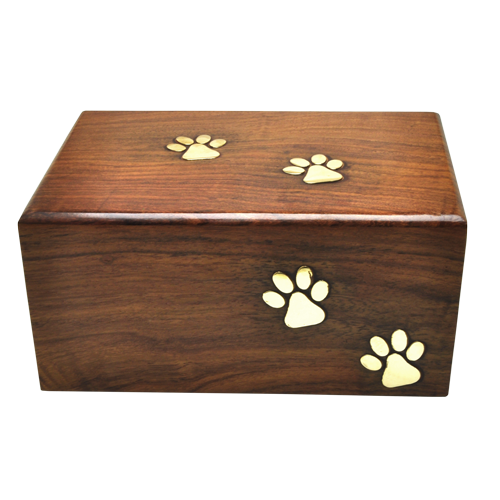 This pet urn will bring a smile to your face with the playful paw print design on the top and front. Personalize it with your best friend's name and dates. 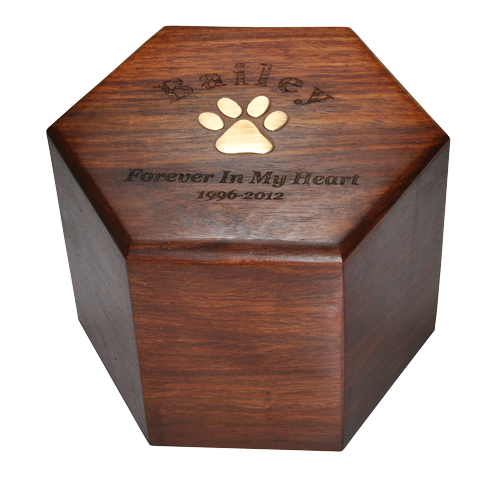 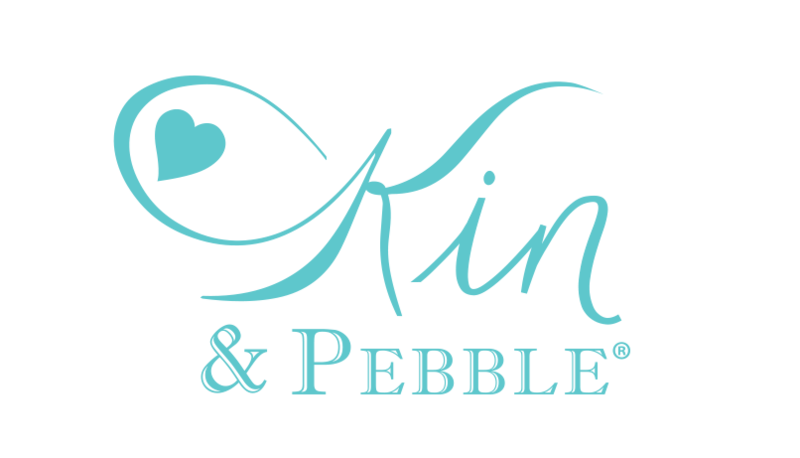 For smaller pets, you may use this this memorial to hold precious ashes or other items such as a collar or id tags. 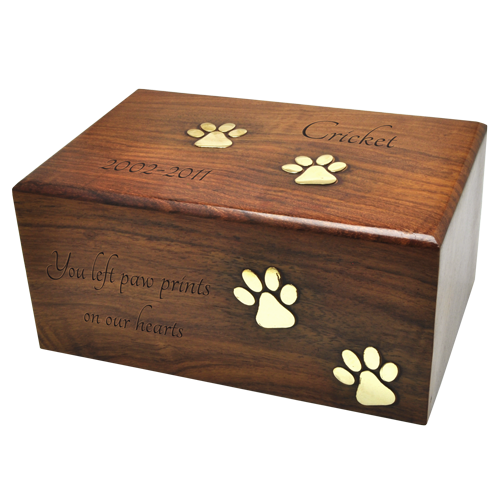 Engraving options include- engraving directly into the wood or on a matching brass plaque. Clip art and gold or black-fill are also available to enhance the engraving. 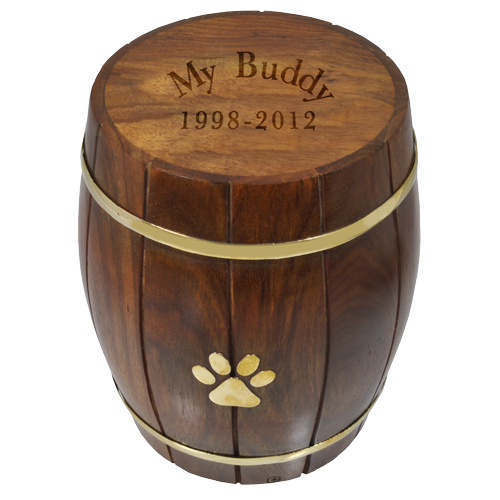 For permanent closure, the wood urn may be sealed with wood glue, epoxy or clear silicone sealant (available at hardware stores). 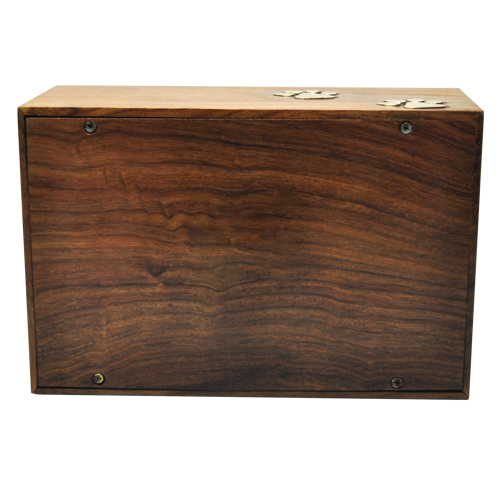 Capacity: Approximately 59 cubic inches or the ashes of a loved one that weighed 59 pounds or less at time of passing. 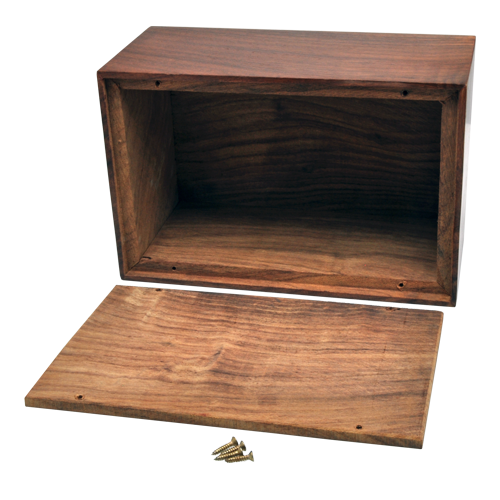 Inner: 7"L x 4.5"W x 2.5"H Capacity: Approximately 110 cubic inches. 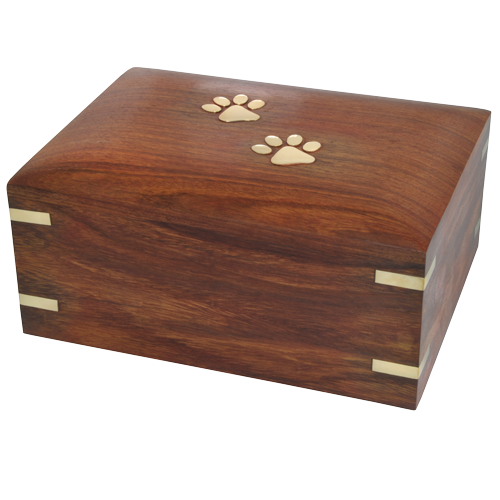 Will hold the ashes of a loved one that weighed 110 lbs or less at the time of passing.